DraftKings continues to expand their Las Vegas-based office and sportsbook team. The daily fantasy sports (DFS) and sportsbook operator announced the hiring of one of the most respected bookmakers in Las Vegas, Johnny Avello. Most recently, Avello was the director of operations at the Wynn Las Vegas sportsbook. Additionally, before joining Wynn in 2005, Avello spent 15 years working at Bally’s, Las Vegas Hilton (now Westgate) and Sands Hotel (now The Venetian). Not only is Avello one of the most respected bookmakers in Las Vegas, but he’s also one of the most famous. Although gambling on awards shows such as the Academy Awards isn’t legal in Nevada, he makes odds for mainstream media outlets to use for entertainment purposes. Avello’s experience creating odds for non-sports events could come in handy for his move. It’s not a secret that DraftKings would like to offer unique wagering opportunities. Earlier this year, they touted offering odds on hot dog eating contests and free agency moves. Avello is definitely stepping out of the box with his move to DraftKings. The new sportsbook operator doesn’t offer their primary product (DFS) or their new product (sportsbook) to Nevada residents. DraftKings is building a strong team but only offers sports betting in New Jersey. Avello will bring years of experience operating sportsbooks in Nevada to a young and growing company. Avello is only one of the experienced bookmakers to join DraftKings. Earlier this year the company announced the hiring of Frank Kunovic. He was the lead bookmaker at Caesars Entertainment casinos in Nevada. Earlier this week, Gaming Today reported that Ed Malinowski, sports and racebook executive at Golden Entertainment (The Stratosphere) would be joining the DraftKings sportsbook team. DraftKings now adds three experienced Las Vegas bookmakers to their existing sportsbook team. So now what? Since PASPA was struck down earlier this year, there has been a lot of shuffling around the sports betting industry. A day after it was reported that Malinowski was leaving, Golden Entertainment signed a deal with William Hill to oversee sports betting operations at their casinos and taverns. The recent DraftKings hires are helping to create the foundation of a national sportsbook giant. That giant is small right now, with operations only within New Jersey sports betting. Finding a way into the Nevada sportsbook market looms large for a company looking for respect in the industry. 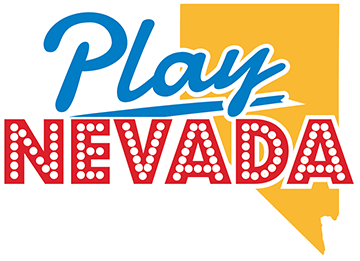 Caesars Entertainment is a potential partner in Nevada. Caesars Palace is trying to sell naming rights for their Las Vegas sportsbook even though they’re interested in branding The Book concept that’s being tested at The Linq. Another thought is that maybe DraftKings will buy its way into the Nevada sportsbook market. CG Technology has been fined three times in the past two years by the Nevada Gaming Control Board. Rumors have been swirling for more than a year that they might look to get out of the sports betting industry. Their recent problems with the NGCB leave all options on the table should they leave the market. Perhaps DraftKings could buy their way into the Las Vegas market with CG Technology’s leases and assets. This wouldn’t be a unique way to enter Nevada. William Hill entered the United States in 2011 when they acquired American Wagering Inc.